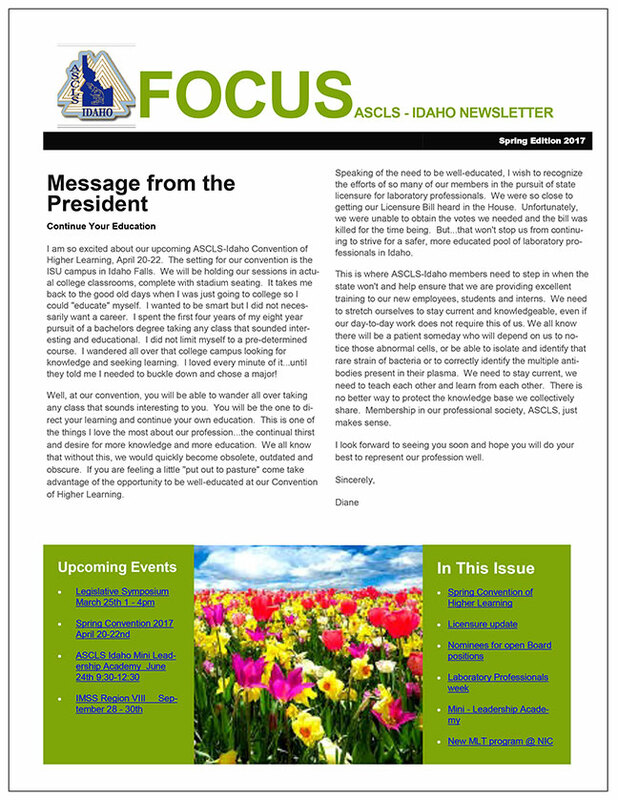 The Spring Edition of the ASCLS-Idaho FOCUS Newsletter is now ready for your perusal. This edition is jam-packed with information about the upcoming Convention of Higher Learning, licensure, the Lab Week Virtual Fun Run and the elections. Download the newsletter and read up on all the candidates and all the fun we have in store for you.